VPNSecure Review 2019 – Is VPNSecure Good for Torrenting? Mandee Rose | Posted on February 20, 2018 February 12, 2019 | Leave a comment on VPNSecure Review 2019 – Is VPNSecure Good for Torrenting? VPNSecure.me is a popular provider in a highly competitive industry. However, right off the bat I found its branding to be a little inconsistent and confusing. There is only one VPNSecure, but its URL is VPNSecure.me, while the banner on the website is VPNs. Perhaps I’m too pedantic, but I would have preferred more continuity with the service’s name. 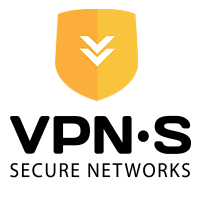 Nevertheless, I’m going to take you through this provider’s features and qualities step-by-step to help you decide if VPNSecure is right for you. Before we start analyzing VPNSecure’s pricing model, let’s take a look at this service’s main pros and cons. On the whole, I thought VPNSecure had a rather attractive pricing model, on par with other mid-range services. It seems to lie in the middle of the market, and is neither one of the more expensive services nor dirt cheap either. I’m not sure that I really like the monthly rate for HTTP proxy services. A lot of other VPN services that offer HTTP proxies usually bundle it in with paid VPN subscriptions – or just offer it free of charge. Take HMA VPN, for example, which provides HTTP proxy services directly on its website. Since the paid subscriptions bundle in the HTTP proxy and Smarter Domain Name System (DNS) service, I wouldn’t bother buying the HTTP proxy on its own. At that price, you might as well get the benefits of a full-fledged VPN tunnel. Also, PPTP is my least favorite VPN protocol, because it only offers weak encryption. The inconvenient truth about PPTP is that it is an antiquated technology, and can be cracked using relatively cheap software. As such, I wouldn’t recommend using PPTP to send sensitive data. That’s not to say that PPTP is worthless, though. It does have less overhead than other popular protocols such as OpenVPN, so the connections can be faster and more appropriate for sensitive real-time traffic. Two areas where I see a lot of value in PPTP tunnels are gaming and streaming multimedia content from foreign countries. Most people probably wouldn’t care if the authorities captured their data, went through the trouble of breaking the PPTP tunnel, and discovering that the data they stole was in transit to a video game server. It’s not exactly a consequential loss of privacy, is it? With those two exceptions, I don’t see a lot of value in PPTP. And the HTTP proxy service isn’t that much cheaper than the annual subscription plan’s monthly rate, so I’d forgo the proxy subscription in favor of a full-fledged VPN connection. I wasn’t overly impressed with the trial account, either. Most services will offer a money-back guarantee, a free trial, or a dumbed-down version of the service that’s free to use indefinitely. However, VPNSecure only has a two-day trial, and it isn’t free: it costs $2.00. I know that isn’t a significant amount of money, but I felt like the trial account should have been completely free. There are some advantages to a low cost paid trial, I suppose. Since you’re actually paying money for it, you won’t have to deal with bandwidth throttling or data caps. You’ll have unrestricted access to servers in all 48 countries, too. All in all, even though the pricing model is pretty affordable, I was disappointed with the trial version. (SSH) Socket Secure (SOCKS) client, and the Chrome HTTP proxy extension. There isn’t a custom client developed for Linux, but most Linux distributions come equipped with the ability to connect via a variety of VPN connection protocols, such as OpenVPN. On that note, all three paid subscriptions of the VPN service only have the ability to connect using OpenVPN. This is both a blessing and a curse. Personally, I prefer to use OpenVPN exclusively, since it offers the strongest security and 256-bit encryption keys. As I mentioned earlier, I detest PPTP, though it does have a few uses. In addition, I don’t typically use L2TP, but it would have been a nice option since it has slightly less overhead than OpenVPN. However, all of the paid VPN subscriptions do include the HTTP proxy and Smarter DNS connections. That will give you some flexibility if you want to unblock content without the encryption overhead associated with OpenVPN, and balances out the lack of additional VPN connection protocols. VPNSecure has servers in 48 countries. The size of its network is pretty average, and will help most people connect to their country of choice. Servers are located in all the typical popular areas such as the US, UK, Hong Kong, and Singapore. Overall, I thought the features were good. The only thing I thought was really missing would be alternative connection protocols. I ran four different speed tests to two different locations. One speed test used my raw internet connection, and for comparison, I tested again to the same location using the VPN tunnel. It’s worth mentioning that bandwidth is never static. Even though I get 100 Mbps from my Internet Service Provider (ISP), connections to servers halfway around the world have to be sent through numerous ISPs and networks, which apply different bandwidth preservation techniques. I was pleased to see that I didn’t incur any extra latency overhead with the US VPN connection, but for some reason, my latency was three times higher for the Hong Kong speed tests while using the VPN tunnel. Even though I would have preferred less latency, these measurements aren’t bad at all. In both tests with the VPN tunnel, I had less than 300ms of latency, which is good enough to support a Voice over Internet Protocol (VoIP) call without any loss of audio. But there was one thing I didn’t like. In both tests where I used the VPN tunnel, my upload bandwidth was awful. I don’t really upload a lot of data, but if you seed torrents, or upload data to a cloud storage or backup service, I’d recommend looking for another provider. With less than a megabit of upload speed, even small file transfers to the cloud will crawl along slower than a tortoise. To sum up the results of the speed test, the latency was low, the download rates were fair, but the upload rate was rather poor. VPNSecure seems to have a strong support department. I started a chat with a tech named Adam, and he responded to my inquiry almost instantly. It only took him a couple of seconds to start typing a reply, and he seemed to be pretty knowledgeable too. In addition to answering questions about different connection protocols, he also seemed to know the features of each different subscription package like the back of his hand. I’m a huge fan of live chat. I think we’ve all had to deal terrible support calls and slow email in the past, so it was nice to chat with someone directly. In addition, the support page of the website went above and beyond the normal call of duty. Instead of only listing configuration steps, VPNSecure took screenshots of each installation and configuration process, with clear and simple images. But what I really loved about the support page was the tutorial videos. Most other providers don’t include configuration and troubleshooting videos online, but VPNSecure did a fantastic job creating content. All in all, I was very impressed with VPNSecure’s customer support, and I think it’s better than most other providers’ support departments. I’d imagine most people would even be able to use the videos to solve their own problems instead of needing to resort to opening a ticket. Like every other competent VPN service, VPNSecure does have a no logging policy. That basically means that it won’t capture any of your data or track where you go online. This is pretty typical among VPN services, because logging data would defeat the whole purpose of the VPN. However, most providers have to log some types of metadata, either for the sake of monitoring server usage (by logging anonymous bulk upload/download rates) or timestamps of user account connections. Should I Use VPNSecure VPN?